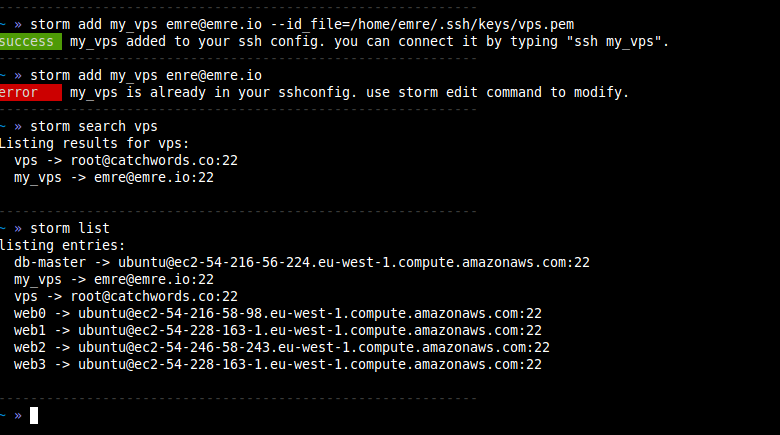 storm is a command line tool to manage your ssh connections. adding, editing, deleting, listing, searching across your SSHConfig. command alias support for your CLI preferences. support for custom SSH directives. scriptable as a python library. © Copyright 2013, Emre Yilmaz. Revision f3889c8b.